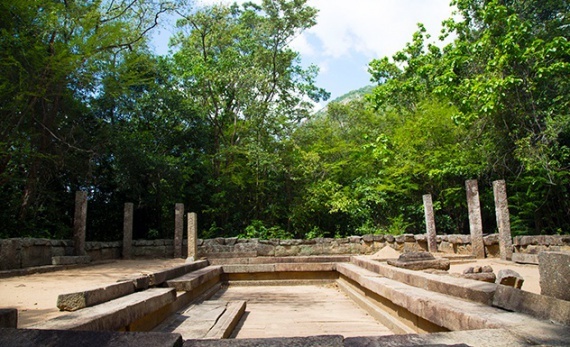 Dating back to the fourth century BC, Anuradhapura was the first civilization to be built in Sri Lanka and remained the spiritual and secular capital of the island for well over a millennium. Anuradhapura contains some of the island’s most sacred Buddhist shrines and was established around a cutting said to be from the fig tree under which the Buddha sat and gained enlightenment. This cutting – the Sri Maha Bodhi – is Anuradhapura’s spiritual heart, and is thought to be one of the world’s oldest trees. Cuttings of this sacred ‘mother tree’ have been successfully planted in temples all over the island. 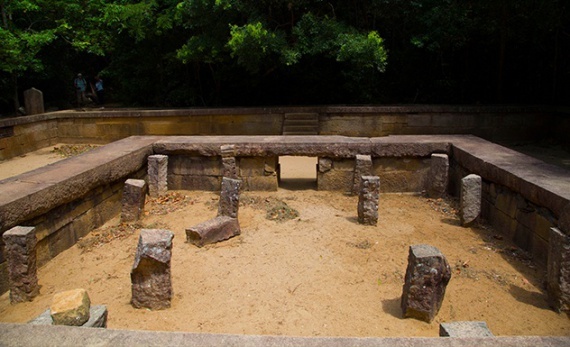 The extensive ancient ruins of Anuradhapura cover 40sqkm: you will find three colossal tanks, enormous, towering dagobas, the remains of a palace, Isurumuniya Vihara rock temple and Royal Pleasure Gardens. Anuradhapura has an ancient cutting from a sacred fig tree, which was brought from India to Sri Lanka in the 3rd century BC by Princess Sanghamitta, a Buddhist nun. 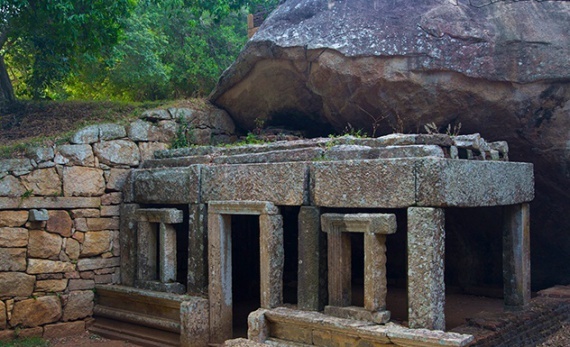 Few capitals around the world have been as long lasting as Anuradhapura. 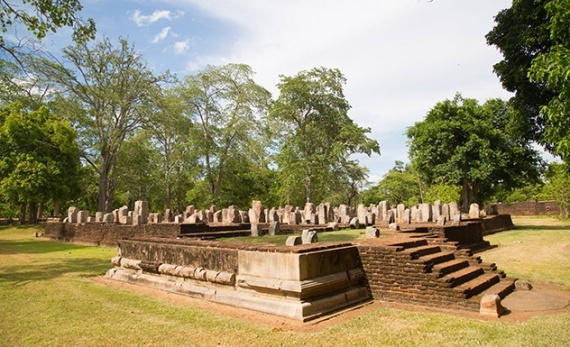 Dating back to the 4th century BC, Anuradhapura was the first civilisation in Sri Lanka and was the spiritual and secular capital of the island for well over a millennium. Despite numerous assaults from South Indian invaders, the city flourished and endured until 993 AD, when a final attack brought it to its knees. 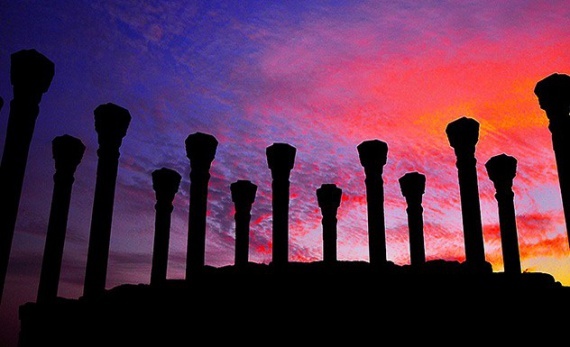 At its height, the city was dotted with monasteries and was home to over ten thousand monks, and the colossal dagobas were the second largest man-made structures in the world at the time of their construction, beaten only by the pyramids of Egypt. It’s little surprise that the city is a World Heritage Site. 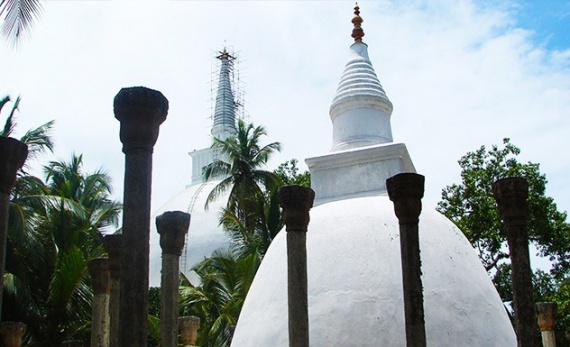 Despite its high importance in the history of Sri Lanka, Anuradhapura lies a little way from the main tourist trail and so is not frequented by as many visitors as the ancient ruins in the Cultural Triangle, and hotel options in this area are limited. We highly recommend Ulagalla Resort by Uga Escapes, a luxurious eco-hotel which offers secluded accommodation in tranquil surroundings that attract a wide variety of local wildlife.